‘Your idea can move the world! Share your innovative idea! What suggestions do you have for the Public Transport system of your area? How could urban mobility be improved within European cities? What kind of problems do you face during your daily trips and what innovative solution would you suggest in order to deal with them? How could Public Transport in your city become more attractive? 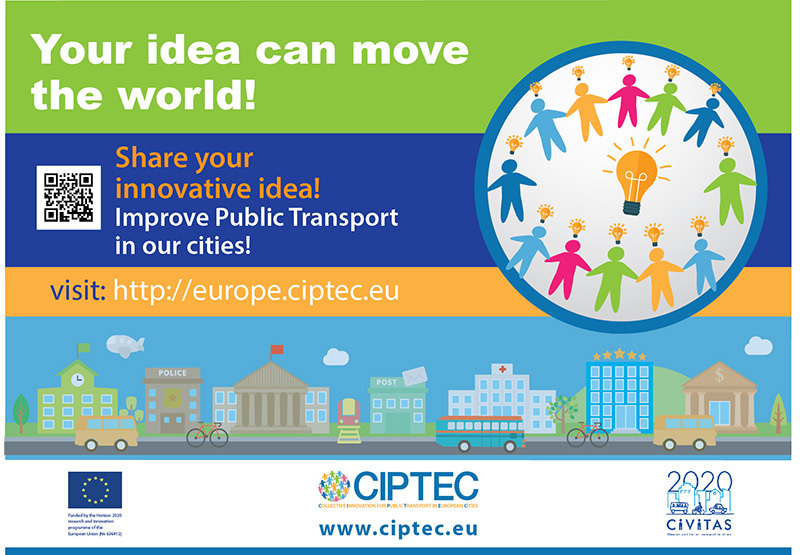 European citizens have the opportunity to share their concerns about the future of Public Transport and they can submit their innovative ideas in the context of the crowdsourcing campaign that is currently running within CIPTEC, an EU Horizon 2020 research project. 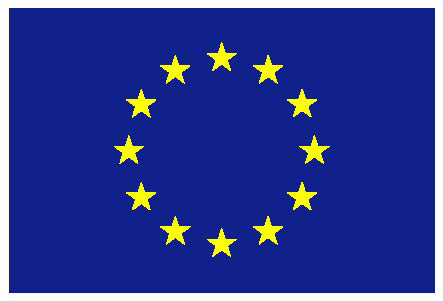 The European version of the user-friendly platform is accessible through the website: http://europe.ciptec.eu, where citizens from all European countries can submit their ideas in order to improve the level of service of Public Transport systems, both in their country and in Europe as a whole. The submitted ideas will be disseminated, discussed, improved and evaluated by other users of the platform. The best idea, which will arise from users’ evaluation, as well as from a special committee in the field of transport, will be rewarded. The action is addressed to all users and non-users of public transport and aims at the interaction and enhancement of cooperation and communication among citizens in order to achieve the common goal of improving the Public Transport system. In fact, this action could be used as an experiment of citizens’ activation and would allow drawing conclusions regarding the effectiveness of the crowdsourcing method in issues related to urban planning, transport and mobility management. Therefore, the use of the platform as an open dialogue forum is encouraged, beyond the contest dimension that it apparently has. In addition to the wide crowdsourcing campaign at EU level which is in English language, similar campaigns will take place at local site level in national languages concerning the urban areas of Frankfurt, South Tuscany, Rotterdam and Thessaloniki. The main aim of these platforms is the collection of ideas and the design of new innovative concepts, practices, business models, etc. for the Public Transport sector. We send one email every 6 months, and it’s interesting!